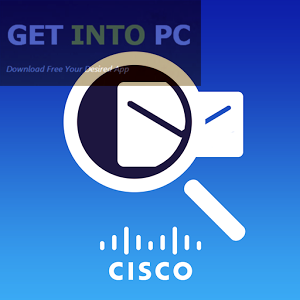 Cisco Packet Tracer 6.1 Free Download Latest Version for Windows. 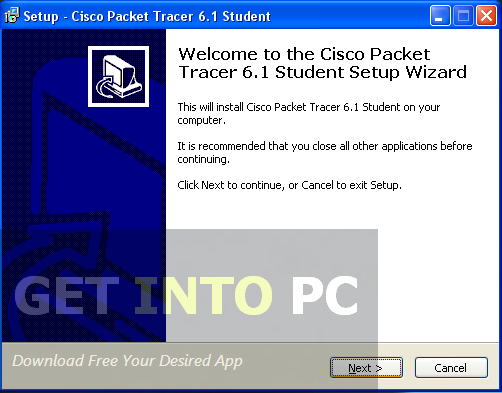 It is full offline installer standalone setup of Cisco Packet Tracer 6.1 for 32 bit 64bit. 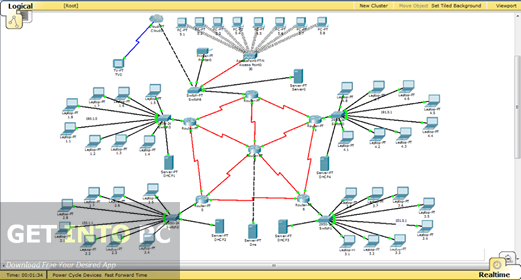 Cisco Packet Tracer 6.1 is a utility that can be used by students to train themselves in CCNA and CCNP by permitting them to create networks by utilizing unlimited number of devices. By using this application you don’t need to buy Cisco routers for experiencing troubleshooting. 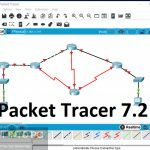 Cisco Packet Tracer 6.1 has different capabilities of visualization, authoring and collaboration and provides facilities for learning some complicated technological concepts. 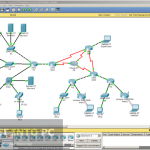 In the month of June this year Cisco has released their new version Cisco Packet Tracer 6.1. The version has been released in student and instructor packages. There have been some new features introduced in Cisco Packet Tracer 6.1 and some of them are as follows there is a n introduction of new service tab. In previous versions config and service tabs were jelled in one tab but now service has its own tab. 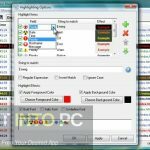 Some new server desktop applications like Netflow collector and AAA accounting have been included. IPv4 and IPv6 which in previous versions were parts of Service tab have now been shifted as desktop applications. 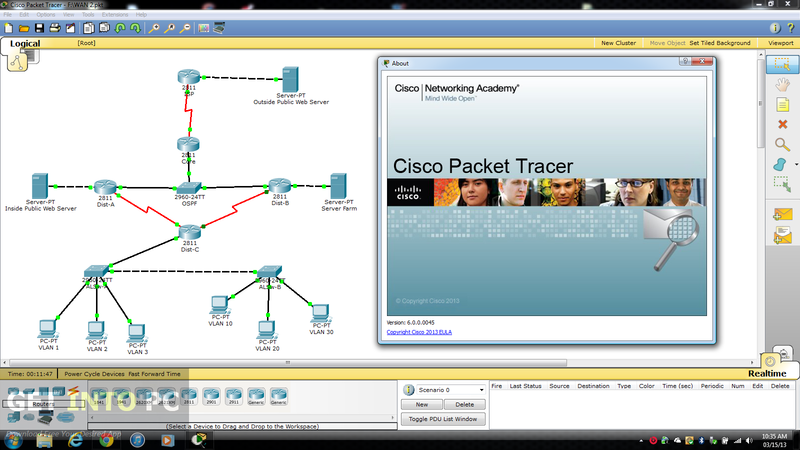 You can also Download Cisco Packet Tracer 6 which was previous version. On a conclusive note we can say that Cisco Packet Tracer 6.1 which is free of cost application provides simulation based environment which helps students learn the skills like decision making and critical thinking. Below are some noticeable features which you’ll experience after Cisco Packet Tracer 6.1 free download. Can be used for CCNA and CCNP training purposes. Can create networks by utilizing unlimited number of devices. A new service tab introduced. Netflow collector and AAA accounting have been included as new server applications. IPv4 and IPv6 have been shifted as desktop applications. Can develop skills like decision making and critical thinking. Before you start Cisco Packet Tracer 6.1 free download, make sure your PC meets minimum system requirements. Processor: 500MHz Intel Pentium III or later. 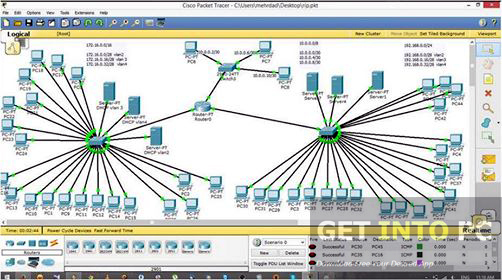 Click on below button to start Cisco Packet Tracer 6.1 Free Download. 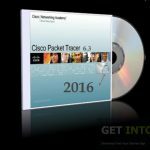 This is complete offline installer and standalone setup for Cisco Packet Tracer 6.1. This would be compatible with both 32 bit and 64 bit windows.